Definition at line 60 of file StackSafetyAnalysis.h. Definition at line 595 of file StackSafetyAnalysis.cpp. Definition at line 599 of file StackSafetyAnalysis.cpp. Definition at line 67 of file StackSafetyAnalysis.h. References F(), llvm::RISCVFenceField::O, llvm::StackSafetyInfo::print(), and runOnFunction(). 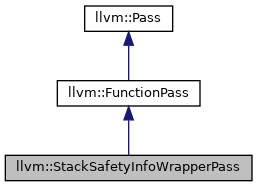 Definition at line 604 of file StackSafetyAnalysis.cpp. 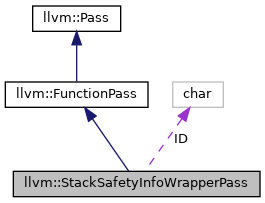 Definition at line 608 of file StackSafetyAnalysis.cpp. Definition at line 64 of file StackSafetyAnalysis.h.